Are you a doodler? Or a doodler wannabe? In this relaxing, self-paced Whimsical Sketching class, you’ll be treated to five lessons – in real-time – showing how to draw your own whimsical sketches that you can color! This class was inspired by the coloring book craze – rather than color someone else’s black and white drawings, why not learn to create your own? This class will inspire beginners, but some of the lessons toward the end will challenge even the experienced – so there’s something for everyone! Supplies are simple: Pencil, pen, and paper! You can draw with whatever types of pens and papers you wish, but some suggestions will also be made. 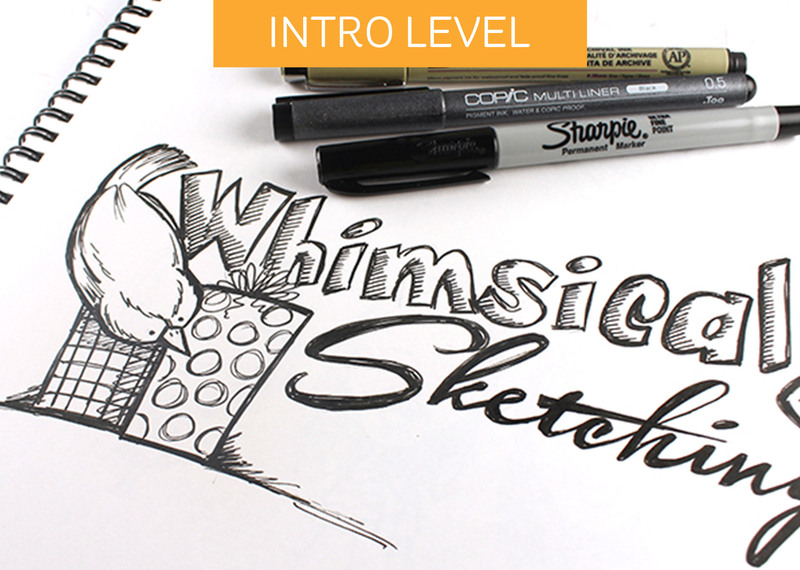 Join class now, gather up your sketchbook, pencils, and pens, you can get started sketching! Loved this class, it really made you feel that you can draw. ?